Back in July, I wrote about a tree on Avenue C suffering from hollow-tree fungus. It sort of looks like matzos! Also, someone replaced the previous "Curb Your Dog" sign with two new ones! 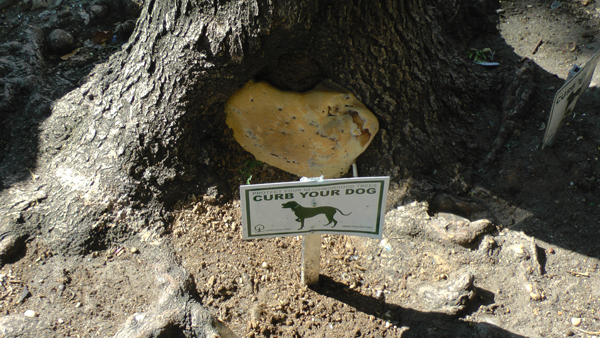 It's never too late to curb your dog… in the East Village Today!